Interview with Professor of History Philip Dwyer who reflects on the success of the Violence Studies Conference 2012 and its role in shaping a new field of study. 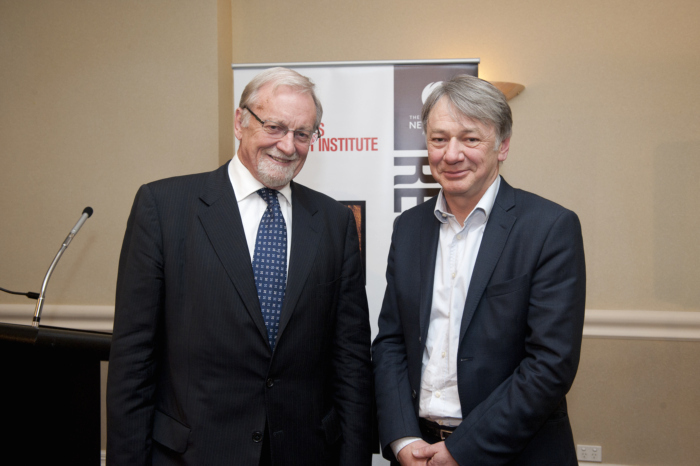 When more than 250 people braved a crisp August night in Newcastle to hear former foreign minister and International Crisis Group leader Gareth Evans deliver a keynote address, Professor Philip Dwyer knew the first international Violence Studies Conference had struck a chord. 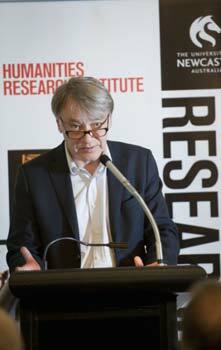 The conference was an initiative of The Centre for the History of Violence, part of The Humanities Research Institute at the University of Newcastle, which is spearheading a bid to the Australian Research Council for a world-first multidisciplinary Centre of Excellence (CoE) in the field. “A fundamental part of our bid for a Centre of Excellence in the History of Violence is that the proposed Centre will have relevance and appeal beyond the academic world,” explains Dwyer, the recently appointed Professor of History at the University of Newcastle who leads the bid for the CoE. Professor the Hon Gareth Evans AC QC, Chancellor of the Australian National University, presented to the conference a paper titled Ending Deadly Conflict: Dream or Delusion? His address was just one of many highlights of the three-day gathering at Newcastle’s Crowne Plaza Hotel, which brought together scholars from around the world, drawn from across a wide range of disciplines, to discuss matters pertaining to the History of Violence. Other keynote addresses were delivered by Professor Joy Damousi, from the University of Melbourne, who is also a deputy director of the CoE bid, and Professor Kenneth M. George, from the University of Wisconsin-Madison. “This is very much a multidisciplinary field and we had researchers and presenters from history, sociology, anthropology, literature, film, law and many other areas of study represented,” Dwyer says. Six Australian tertiary institutions are part of the CoE bid: the universities of Newcastle, Melbourne, Adelaide and Tasmania, as well as Monash and the Australian National University. International partners include the universities of Cape Town and Delhi, Birkbeck College at the University of London, and University College, Dublin. In addition, a number of leading cultural institutions have committed support to the bid, including the Art Gallery of NSW, the Museum of Democracy, in Canberra, the Museum of Victoria, as well as RSPCA Australia, UN Women Australia, and the Human Rights Commission. Respected filmmakers Ann Turner and Sue Maslen have also joined the team, and are proposing to produce a six-part documentary series on the History of Violence. While the study of violence is a subject of global relevance that intersects with many fields of study, the History of Violence is only beginning to emerge as a distinct discipline. The proposal for a Centre of Excellence grew from the establishment of a program of research called Violence and Social Order that was developed within the Humanities Research Institute at Newcastle two years ago. To the big question, “Why does it matter?” Dwyer says violence is so much a part of the modern world, but to properly understand its motivations and machinations, the researcher needs to adopt a retrospective gaze. “We are proposing a program that looks at violence in the modern world, from 1750 to the present, in order to understand what constitutes violence and how it has changed over time,” he says. “There is a lot of debate going on within academia due to the release of several recent books that contend that we are living in a less violent world today than ever before in the history of humanity. “That is at odds with the messages we receive through the media, which give the impression that we live in an increasingly violent world, so there is an interesting dichotomy of views between the research community and the wider public that demands greater scrutiny. Following on from the success of the Violence Studies Conference 2012, a second conference is planned for next year, possibly overseas. The CoE consortium is seeking funding for seven years from 2014. The funding round has not yet been announced but Dwyer expects the bid to be submitted to the Australian Research Council before the end of the year.